Amazing 3D image to front pocket of back pack. Padded, adjustable straps. Two mesh padded strips to back for comfort. Grab handle. 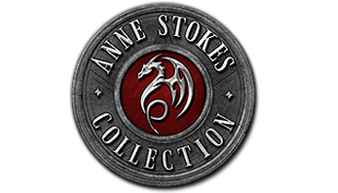 Anne Stokes Collection badge to front. 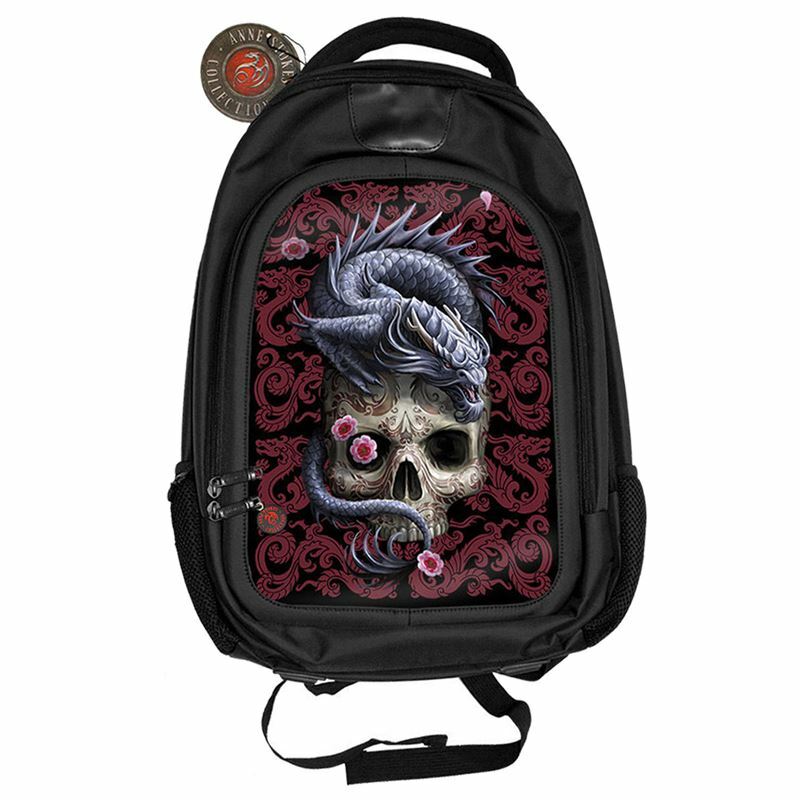 Zipped pocket to front with Anne Stokes logo zip pull. Inside front pocket is large open pocket, two pen holder slots, zipped mesh compartment and two smaller open pockets. Two elasticated mesh open pockets to outer side of bag. Main zip fastening. Open mesh pocket inside main bag plus separate pouch for laptop/tablet - approximate measurements of pouch: Height: 12.5 inches (32cm); Width: 11 inches (28cm); Depth: 1.25 inches (3cm).